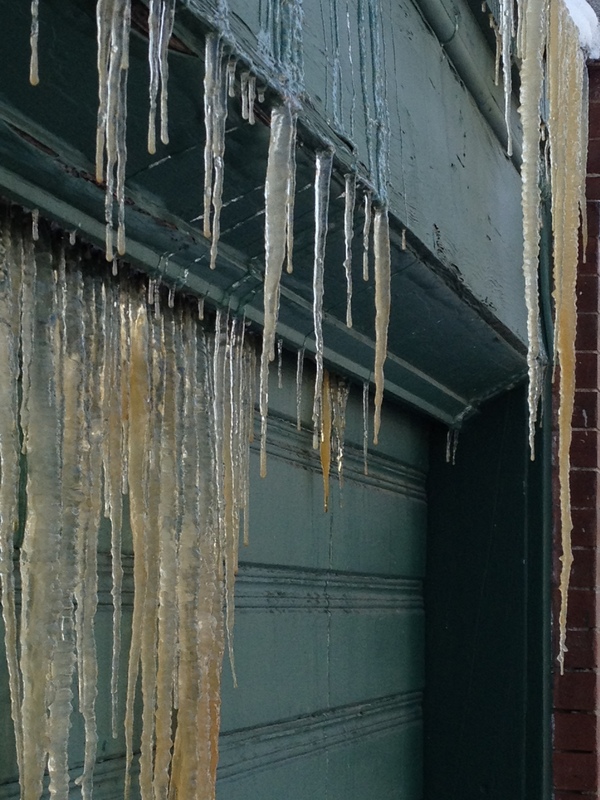 Icicles indicate paths of water flow on buildings, and sometimes can alert us to problems. Water may be the biggest enemy of buildings; even tiny amounts of water can destroy buildings over time. Water can wear away the earth near a foundation and cause structural problems, it can rot away wood framing, and it can cause mold damage or deterioration to finishes if it gets inside a building. 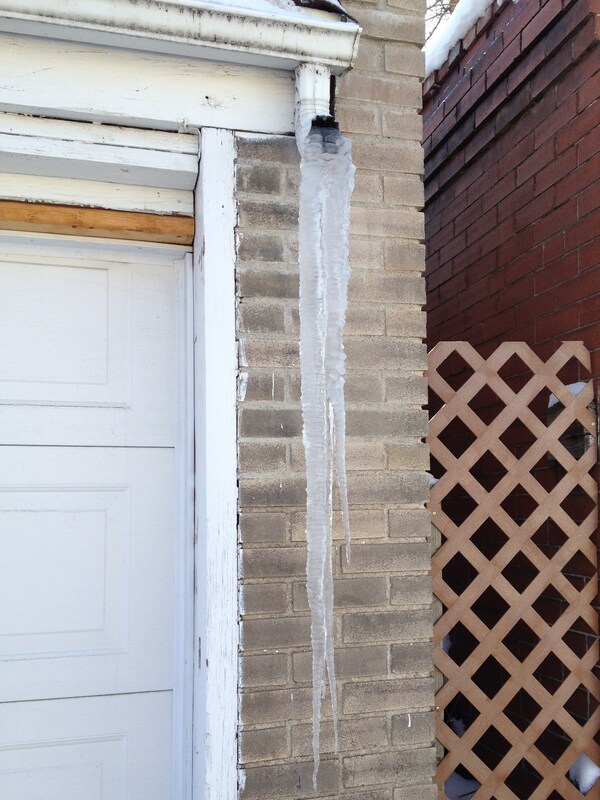 The photo above shows an icicle where we shouldn’t have one – descending from that rust spot we shouldn’t have. There’s a hole in this gutter. 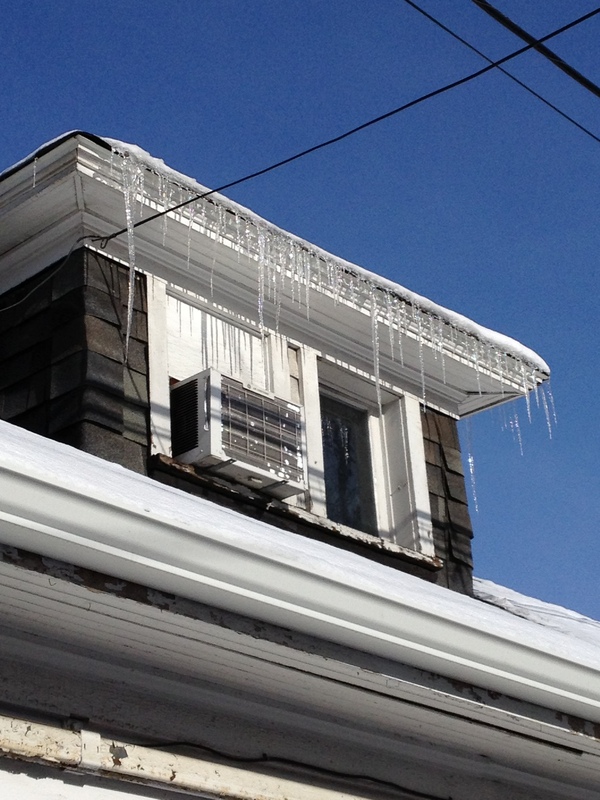 If you see an icicle coming from the middle of the bottom of your gutter, you probably have a hole in your gutter, and you should consider replacement. 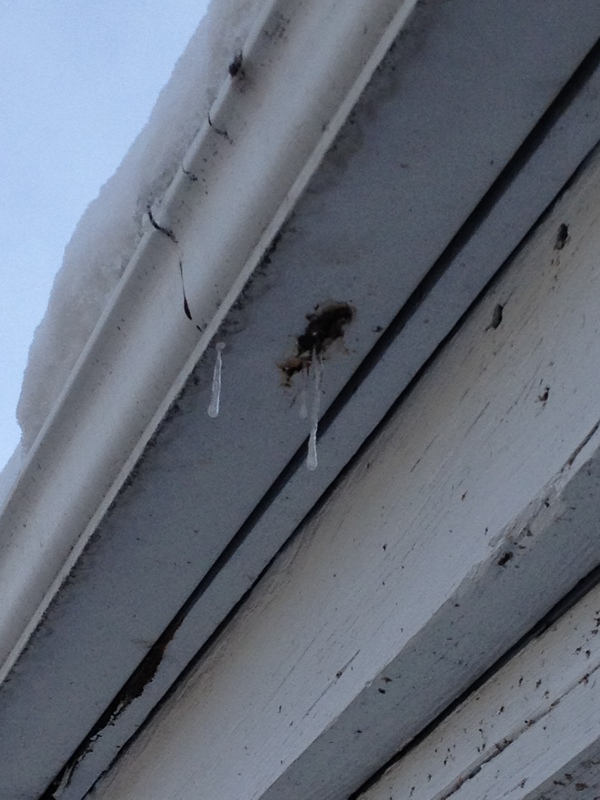 Water dripping out of this hole could travel along the outside of the gutter, get between the fascia and gutter, and cause rot. The icicle in the photo above is a fairly normal sight. If you see this, you might be in Colorado in April. If you live in a place that gets snow but no icicles, it means you live under perpetually cloudy skies, and that is sad. This entry was posted in Building Technology, Construction. Bookmark the permalink. ← What Do Architects NOT Do?